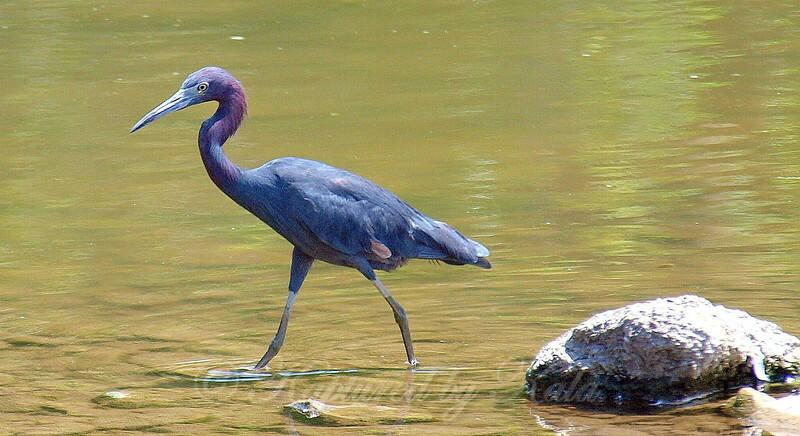 It was July and the heron still had pretty breeding colors. The water is pretty shallow in this area. The combination of sunshine, greenery reflections and the golden color of the bottom clay/shale made for a really nice background.